To view our blog entry on Ting & Jeff's daylight series please click this link here. 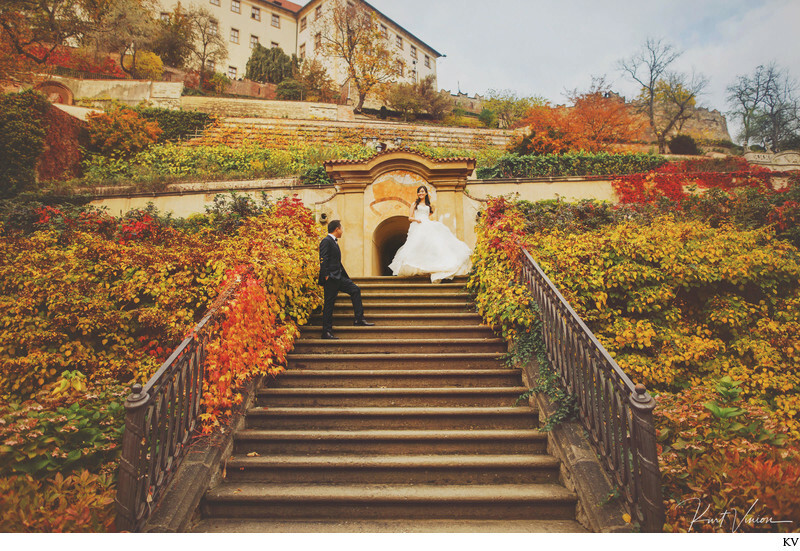 A natural light pre wedding portrait session in Prague with Ting & Jeff! Ting & Jeff who live in Singapore, decided on a last minute pre wedding photo shoot in Prague. They were in a bit of a hurry with their images but no worries, we are pretty much old hands at turning around couples images. They are also a bit camera shy, but that was really not a problem as we simply explored several wonderful locations in Prague such as the Ledeburska Garden and one of my favorite secret gardens overlooking the city below. As these session are more about documenting their experiences as they take in this beautiful city the images tend to be more natural in focus. As you can see they were able to really relax and enjoy their session which made for truly beautiful images. As you can see we decided to start their session a few moments before sunrise in order for them to experience a truly beautiful spectacle as the sun flaring above the famous city of 100 spires. It is not every day that a couple gets to see something as wonderful as this especially when the bridge is not as crowded as it usually is. What I enjoy about these natural light sessions is the fact that it is based on a simple premise: no posing, no fancy lighting gear, just natural portraits of a young couple in love. Not everybody wants to spend all day being posed – in fact some like these two just want to explore the beauty of Prague in a no stress, fun way. To Ting & Jeff, I wish you both much happiness, success and luck as you enter a new stage in your lives as husband and wife! Thank you for selecting myself and my team for your pre wedding session here in Prague.